The 10m sprint test is a simple and popular test used to measure an athlete’s ability to accelerate. 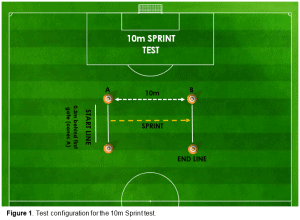 What is the 10m Sprint Test? 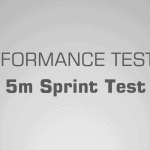 The 10m sprint test is a simple and popular test used to measure an athlete’s ability to accelerate. As short-distance accelerations are common in a large variety of sports, this test is often included in performance testing batteries. Both handheld stopwatches and electronic timing gates have been proven to be reliable assessment devices. As the distance from the start-line, starting position, and the height of the timing gates have all been shown to effect the test results, it is advised that these are all mandated and kept consistent to avoid testing error. Speed tests are typically used solely to measure an athlete’s linear speed capabilities. More specifically, the 10-metre (m) sprint test is used to measure acceleration. Before the introduction of timing gates, speed tests were typically officiated using stopwatches, though stopwatches are still useful and can be used reliably, the use of timing gates is highly recommended and essential when precision is required (1, 2). As the 10m sprint test measures acceleration from a static position, it is a common testing protocol as a large majority of sports often involve such short-distance sprint movements. Sports that include any form of short-distance acceleration should often include a 10m sprint test in their performance testing battery. 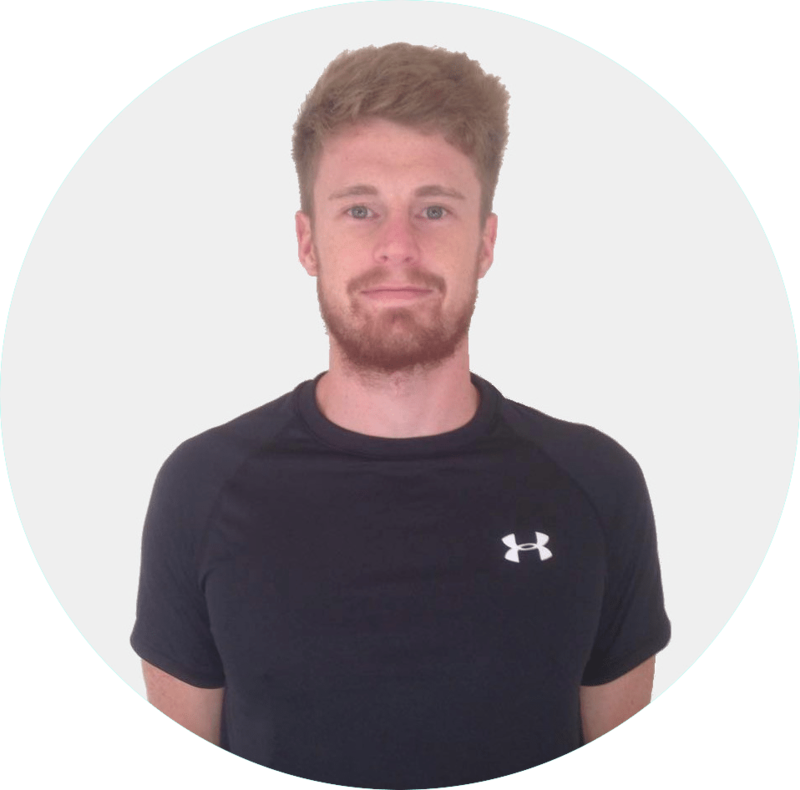 It is important to understand that whenever fitness testing is performed, it must be done so in a consistent environment (e.g. facility) so that it is protected from varying weather types, and with a dependable surface that is not affected by wet or slippery conditions. If the environment is not consistent, the reliability of repeated tests at later dates can be substantially hindered and result in worthless data. Reliable and consistent testing facility of at least 20m in length (e.g. indoor hall or artificial sports field). Test administrators (minimum of 2). 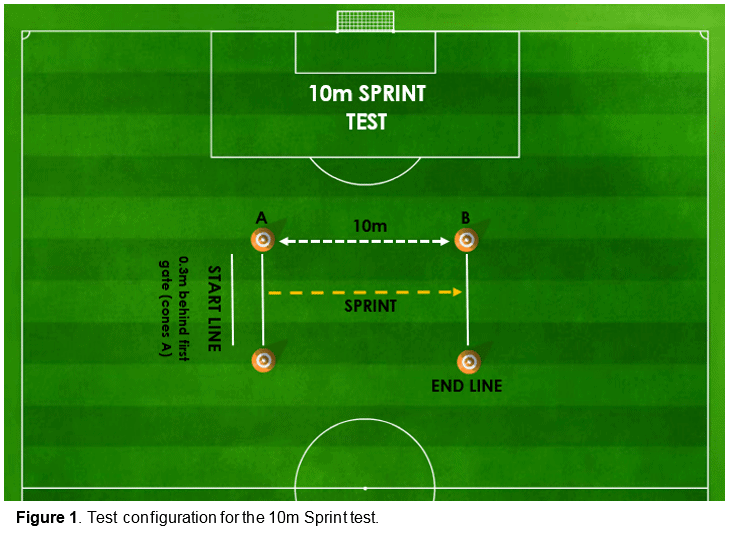 Figure 1 displays the test configuration for the 10m sprint test. This setup must be adhered to if accurate and reliable data is desired. The distance between the start-line and the first timing gate (cones A – Figure 1) has been shown to affect short-distance sprint times (3). Put simply, the greater the distance, the faster the sprint time as it allows the athlete to generate more speed before crossing the first timing gate. As the 10m sprint is a measure of acceleration, it is recommended that the start-line is position 0.3m behind the first timing gate in accordance with Altmann and colleagues (3). The height of the timing gates has also been proven to significantly affect the performance results (4). When testing, it is therefore imperative that a standardised, consistent protocol is used to reduce variances within the data. For example, it may be suggested that the gates are always set at a consistent height of 1-metre. Participants should thoroughly warm-up prior to the commencement of the test. Warm-ups should correspond to the biomechanical and physiological nature of the test. In addition, sufficient recovery (e.g. 3-5 minutes) should be administered following the warm-up and prior to the commencement of the test. Participant ready’s themselves on the start-line (positioned 0.3m behind the first gates – cones A) in a standing split-stance start position. NOTE: it is important for reliability that the participant always uses the same starting stance. Participant should be counted down ‘3 – 2 – 1 – GO ‘. If the test administrators are using a stopwatch, then the time keeper must stand at the finish line and perform the countdown and time the sprint. On the ‘GO’ signal the participant must accelerate maximally to the finish line as quickly as possible. Each participant MUST complete a MINIMUM OF THREE SPRINTS, each separated by a 2-3 minute rest if reliable results are desired. Once the test is over, some subjects may react to the previous exertion. To reduce any problems, the subjects should rest, either sitting or standing, for at least 2-3 minutes. If the subject feels ill or goes quiet or pale, they should lie down with their feet resting on a chair. Note: never leave the participant alone after the test. If three sprints were completed, all the scores are normally then generated into a mean score which provides an overall 10m sprint time. This is done by using the following equation. Accuracy of the stopwatch – Though hand-held stopwatches have been proven to be reliable when measuring speed, they are not recommended when high degrees of precision are required (1, 2). If timing gates are not available, then it is imperative that the test administrators understand the inconsistencies of using a stopwatch for their results. As a result, test administrators must pay great attention and attempt to communicate clearly in order to maximise the accuracy of the results. Starting stance – As the starting position can impact performance (5), it is suggested that participants always adopt the same starting position. The split stance (one leg forward, and one back) is most recommended. Starting distance from first timing gate – As previously discussed, the distance between the start-line and the first set of gates significantly affects sprint times. Therefore, it is essential to remain consistent with the set-up configuration. For the 5m sprint test, we recommended a distance of 0.3m. 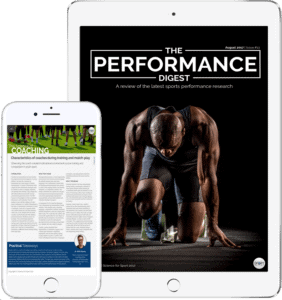 The height of the timing gates – To the author’s knowledge, only one study to date has assessed the effects of timing gate height on sprint performance (4). The authors measured significant sprint time differences when the gates were set at 60cm and 80cm. However, there is no current research which identifies an optimal height for testing. As a result, it is highly recommended that the test administrators adopted one height (e.g. 1m) and stick to it. Circadian rhythms – circadian rhythms have been shown to significantly alter anaerobic performance tests. Current knowledge suggests that an early morning anaerobic tests will elicit significantly lower peak power values than a late afternoon or evening tests (6). Surface and Conditions – Before conducting the test, ensure the surface is non-slip and consistent (e.g. not affected by weather). Secondly, ensure the environment/ facility is also consistent and not being affected by weather conditions. Individual effort – Sub-maximal efforts can result in inaccurate and meaningless scores. Numerous research has confirmed the validity and reliability of the 10m sprint test using electronic timing gates (4, 7, 8). Whilst no research, in particular, verifies the reliability of using hand-held stopwatches for the 10m sprint test, other research has concluded the reliability of stopwatches on similar short-distance sprints (1, 2). Performance Testing entails many, many topics. 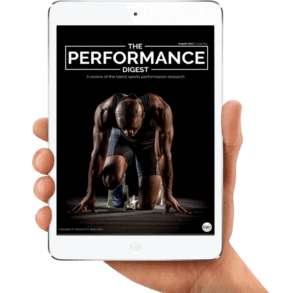 By choosing to simply read up on The 10m Sprint Test and ignore the sea of other crucial Performance Testing topics, you run the risk of being detrimental to your athlete’s success and not realising your full potential. 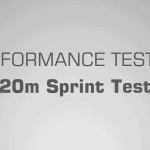 To make you an expert coach and make your life as easy as possible, we highly suggest you now check out this article on The 20m Sprint Test. All information provided in this article is for informational and educational purposes only. We do not accept any responsibility for the administration or provision of any testing conducted, whether that results in any positive or negative consequences. As an example, we do not take any responsibility for any injury or illness caused during any test administration. All information is provided on an as-is basis.